Two years ago, the Jeep brand introduced a special edition Grand Cherokee at the Houston Auto Show. It featured a “blacked-out” exterior and was hugely popular. Jeep let its fans pick the name and “Altitude” came out on top. Jeep then produced a limited run of Altitude models across the entire lineup. 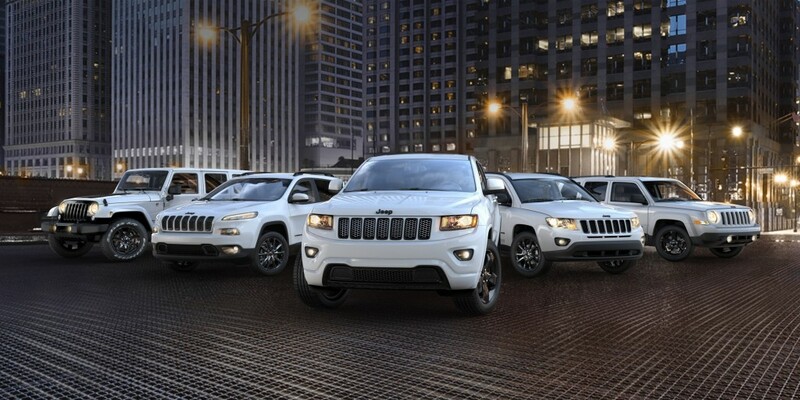 Now, company is bringing the Jeep Altitude editions back for 2014 with new models for the Cherokee, Grand Cherokee, and Wrangler. These will be joining the current Compass and Patriot Altitude models later this spring. For more information on any of the special edition Jeep Altitude models, come visit us at Rothrock Chrysler Dodge Jeep Ram. Next Next post: How Would We Describe the 2014 Dodge Journey Crossroad?